It's summertime! You know what that means. 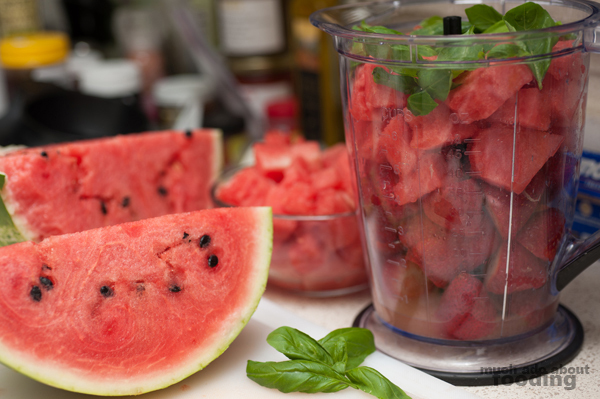 Abundant fruits and a whole lot of watermelon to dig your face into. Sure, you can chomp on some slices and let the juices run down your chin and fingers...or you can puree the heck out of it to make yourself a cool refresher. 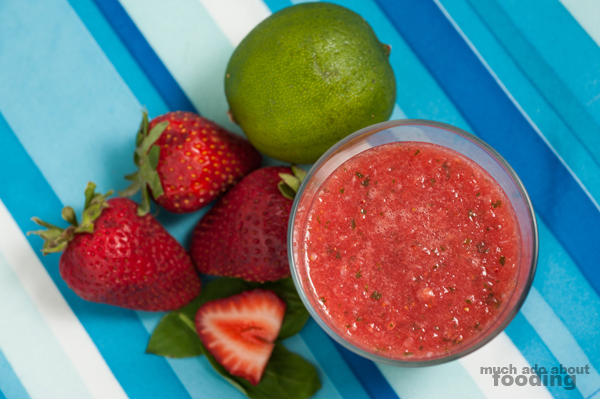 We had plenty of strawberries and homegrown basil to go through so I threw a bunch into a blender real quick for this thirst quenching drink. Try out this recipe - you shan't be disappointed! Honestly, easy peasy. 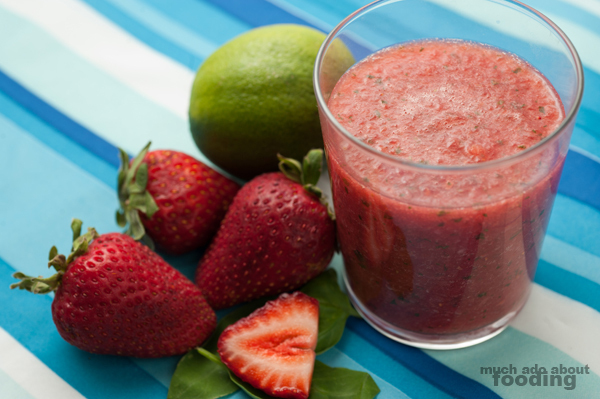 Puree everything together in a blender and quench your thirst!